Chris Brown left his rehab facility for a bit to spread some holiday cheer for kids at Brooklyn Projects Melrose in Los Angeles Sunday. *Chris Brown made good on his promise to attend a Christmas toy drive, thanks to a day pass granted by the anger management facility where he is currently on lockdown. 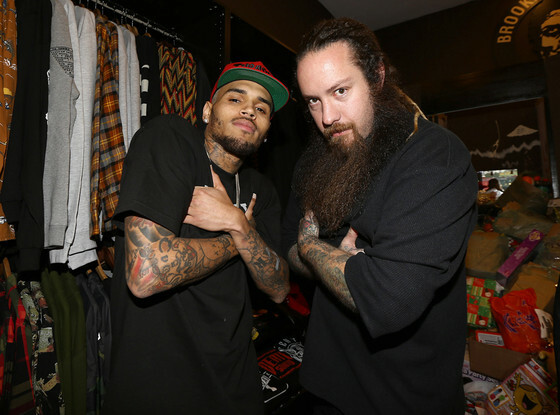 According to TMZ, Breezy was on his best behavior at the event held Sunday at Brooklyn Projects Melrose in Los Angeles, where folks come with unwrapped toys for underprivileged kids. The judge in the Rihanna beating case ordered Brown to stay put in the rehab facility for 90 days, but officials at the facility reportedly decided that the charity event would actually help him by showing how satisfying it is to participate in non-violent activities, according to TMZ. 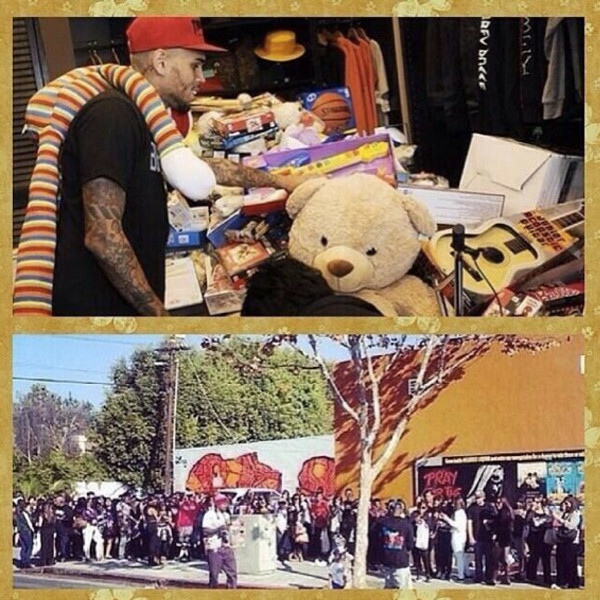 “Thank you to all the fans who brought gifts for the kids today. Have a wonderful holiday. You’ve made a merry Christmas for a young child!,” Brown tweeted once the event was over.